The Gauhati High Court on Monday declared the constitution of the Justice KN Saikia Commission by the erstwhile Tarun Gogoi Government as “legally untenable”. The panel was constituted to probe the “secret killings” of family members and sympathisers of the United Liberation Front of Assam (ULFA) militants. A report published in the The Telegraph stated that a Bench of Justice Ujjal Bhuyan also quashed the report of the Saikia Commission after hearing a writ petition filed by the former Chief Minister of Assam Prafulla Kumar Mahanta way back in 2008, challenging the constitution of the commission. Saikia, a retired judge of the Supreme Court who passed away on December 7, 2016, had submitted his report in 2007, indicting the former Chief Minister, the then police hierarchy and the Home Ministry for the “extra-judicial killings”, which occurred in Assam during 1998-2001, commonly referred to as “secret killings”. The report further stated that Saikia was appointed after the then Tarun Gogoi Government rejected the interim report of Justice JN Sarma Commission of Inquiry in August 2005, as it failed to identify the killers and unearth the conspiracy. Mahanta’s contention was that the then Congress Government had illegally constituted the Saikia Commission by violating the provisions of the Commissions of the Inquiry Act, 1952, in an apparent bid to “malign” his image. “The High Court on Monday ruled that the KN Saikia Commission was illegally constituted and quashed its report,” said Mahanta’s counsel Rajib Baruah. He said the then State Government had appointed the KN Saikia Commission without dissolving the Justice JN Sarma Commission, which was also inquiring the same matter, thereby violating the Commissions of Inquiry Act. Baruah further stated that vide a notification dated August 22, 2005, the Tarun Gogoi Government appointed the Saikia Commission to investigate 11 cases of killings being probed by the Sarma Commission. “The Government had appointed the Saikia Commission while the Sarma Commission still existed, which is a violation of Section 3 of the Commissions of Inquiry Act,” Baruah informed. “The Government again issued a notification dated September 3, 2005, stating that apart from the 11 cases, the Saikia Commission will inquire into other killings of a similar nature. It violated Section 7 of the Commissions of Inquiry Act, which says the Government will decide which definite matter of public importance to be inquired and not by the commission,” he said. “But by issuing the notification dated September 3, 2005, the Government had delegated the power to decide what matter to inquire to the commission, which goes against the Commissions of Inquiry Act,” Baruah added. While passing Monday’s order, the High Court relied on orders passed by the Supreme Court in the State of Madhya Pradesh vs Arjun Singh and Others on November 17, 1992 and State Of Bihar vs Lal Krishna Advani and Others on September 16, 2003. The Saikia Commission had probed 35 cases of “secret killings” that took place during the AGP rule and mentioned in its report that there was enough evidence to show that the then Home Minister was at the helm of these “extra-constitutional killings”. 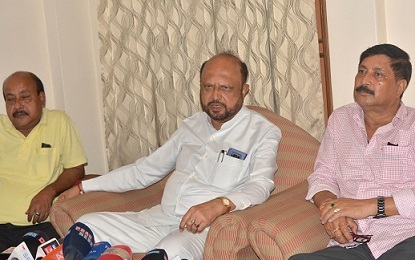 Mahanta, who was heading the AGP-led Government, was also holding the Home portfolio during this period. Mahanta declined to comment on the court order.